My favorite fall activity is pumpkin carving with my family. This year I did a skull, my daughter did a kitten and my husband and son did traditional jack o' lantern faces. The base for my pumpkin mani are Zoya Thandie and Jesy. I stamped using Born Pretty Store plate BPL-031 item 23267 and M Polishes Cayuga. 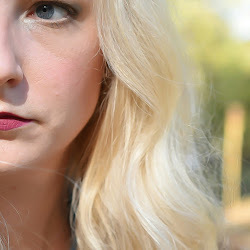 Each one of these images picked up and transferred well. Some of the buildings were a lot bigger than my nail, so I would only use parts of the images when I use them. 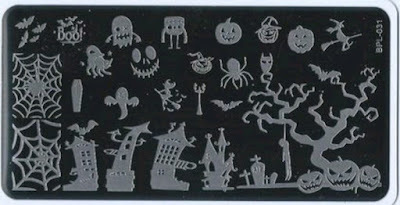 Otherwise, I feel this is a great plate with great Halloween images. I especially love the flying witches! 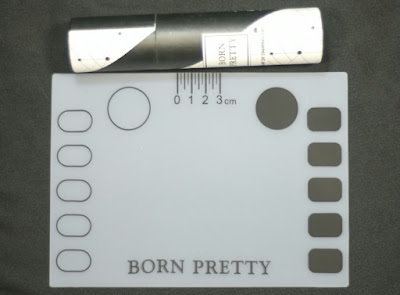 I received several nail art items, including this Born Pretty plate from www.harunouta.com to review. Harunouta is the Born Pretty store in Japan. Keep that in mind if you decide to purchase from them and you are located in the United States. I chose my items on August 30 and I received them November 4. I thought I would receive my items in time for Halloween, but it looks like I'll be doing Halloween looks for another week! They also sent me a silicone mat to review. This mat is 22 * 3.8 cm, which isn't very big, but the perfect size for my nail area. They gave me a discount code to share with you! Use my code, THET300. You will receive 300JPY ($2.87) off of any purchase of 2000JPY ($19.13). Make sure you follow the tag #MommysManiMonday on Instagram for the other Mommy's favorite fall activities looks! Cute mani! 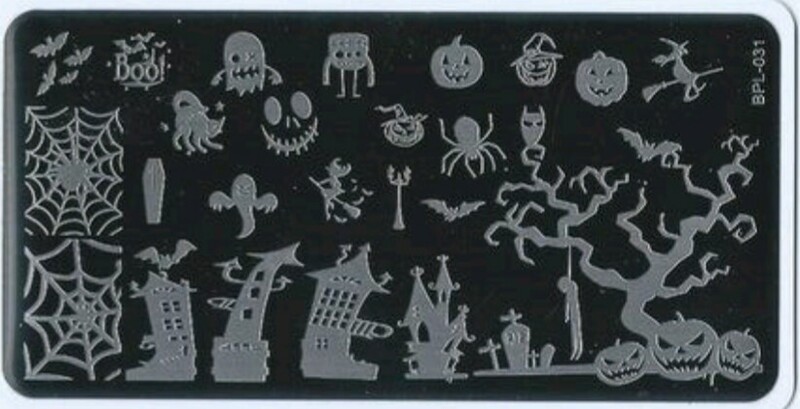 I am waiting on a different Halloween plate from Born Pretty, and the same mat. I actually ordered that mat for the same reason. I saw this on instagram this morning. I'm totally loving it! You paired those Zoyas perfectly! I love the stamping though. 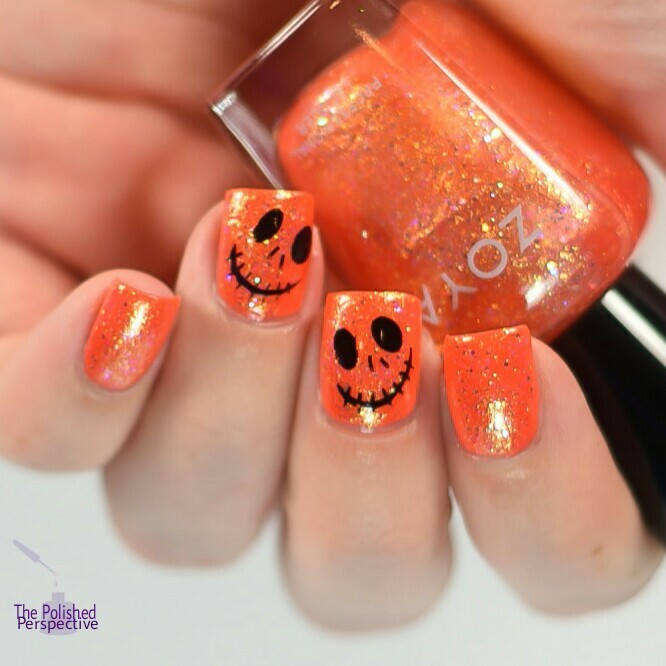 Such a happy Halloween manicure! That's so cute! The plate looks like it worked well.